Roan woke in the cool and familiar darkness of the mines. For a moment he was twelve again, expecting to hear his mother’s call or his father’s shrill whistle to summon him home from a day of squeezing into cracks that wouldn’t admit a full-grown adult, scouting for gems and seams of ore. Then he tried to move, and the exploding pain in every inch of his body brought him back to the present with a string of curses that would have made his twelve-year-old self blush. He was twenty-six years old. He was the Falconer at Kethsgill. And by Keyif’s fire and Oelum’s ice, there was no reason for him to be back in a mine shaft. Roan wakes at the bottom of a mine shaft, badly bruised but lucky to be alive. He doesn't remember how he got here, but as he'd just witnessed a suspicious death, he's afraid someone is trying to cover their tracks. The only problem is, he can't imagine who would have wanted to kill the young lady Arleigh. 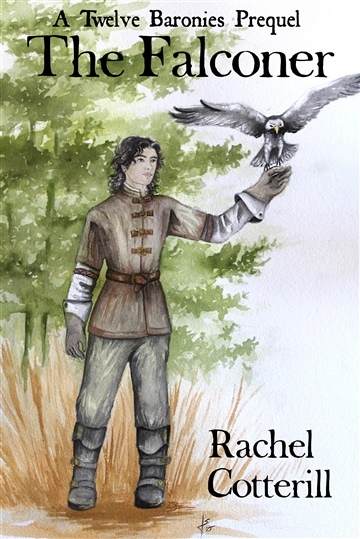 The Falconer is a short story set in the world of the Twelve Baronies novels.